While there are many folks who feel the largemouth bass is the finest sports fish because its high-jumping and hard-hitting abilities, the locals in the Louisiana area know the catfish is king when it comes to bending those fishing poles. Many local charter boat fishing Louisiana captains will tell you that huge catfish are being reeled in on a daily basis in a number of key spots along the Mississippi River. 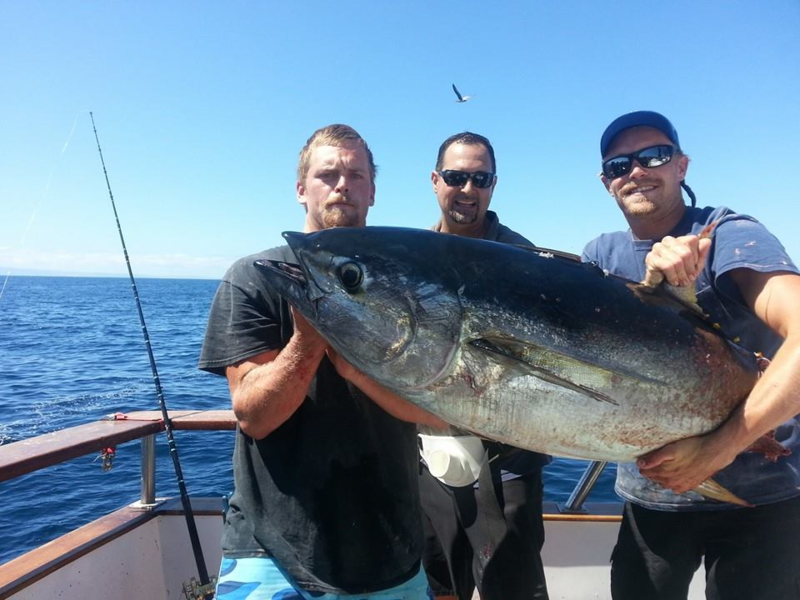 You have already seen our tips for catching yellowfin tuna. If you’re looking for a challenge, and you want to haul in a record-size catfish, the following tips will help you land a monster of your own. Here are a few tips for catching a monster catfish near the mouth of the Mississippi River. When you use the wrong bait, you not only catch the smaller catfish, you wind up attracting other species who will take the bait right off the hook before the giant catfish have a chance to show up. If you are looking to haul in a catfish over 10 pounds, you’ll need to be using fish bait. Goldfish and minnows can be purchased at any number of local bait shops that dot the Mississippi coastline. To catch a monster, you want to consider using suckers, herring, or shad, due to their oily nature.To catch the really big fish, go with sunfish, goldeyes, or carp. While most catfish prefer the fish to be live, if they’re hungry enough, they’ll eat just about anything. Good rule of thumb, the smaller the catfish, the less particular they are about their diet. Most catfish hunters to this region get frustrated fast when the catfish that bite don’t stay on the hook. Even though the local charter boat fishing Louisiana captains will tell you this is a popular complaint, they do offer a very simple solution. Start fishing with the barb of the hook exposed instead of it being hidden. There is no truth to the stories of catfish avoiding the line if they see the hook. These fish are not smart enough to even know what a hook is, especially when they are hungry. What is happening when you hide the hook is the barbed end must first penetrate your bait before the catfish, giving them time to escape.Simply thread your hook through your bait choice three times and leave the point exposed, you may lose a hook or two, but the monster catfish you catch will make it all worthwhile. There is a belief in this region that the big catfish only bite in the summer. Perhaps this may have been started by local fishermen hoping to keep others from hitting the area other times of year, regardless, it is not true. Although summer is a productive time to go catfishing, you could do just as well if not better by fishing in winter, spring, and fall too. Some catfish in the Mississippi River basin bite all year long, even when the temperatures in the water approach freezing. While some breeds of catfish do slow down as the water gets colder, they need to put on the pounds in late fall and early spring.In fact, if catfish are spawning in the summer, it could be the worst time to try and lure in a male who is busy guarding the nest. To catch the real monster catfish in the Louisiana area, you need to develop the skill of being extremely patient. It really doesn’t matter the weather conditions or time of year, fishing for catfish is certainly a sit-and-wait type game. What you will need to do is get your bait as close to the bottom as possible, then sit quietly as you wait for a monster catfish to find it. This can be done on the back of a charter boat, or still-fish from a spot on the banks. One tip to catch bigger catfish from the shore, set your bait where the action is increased. The best places are the areas right below a river dam, it helps to channel the fish right to your bait.Setting up at the junction of two rivers is idea because it forces the fish to a smaller swimming area and the motion of the rushing waters creates the perfect camouflage. If you are fishing in discolored or muddy waters, the catfish will find your bait both night and day. The trouble is that many new fishermen to the area do the same in clear water, and wonder why the catfish don’t bite. When the sun is higher in the sky, the catfish leave the clear waters for the safety of deeper and darker places. 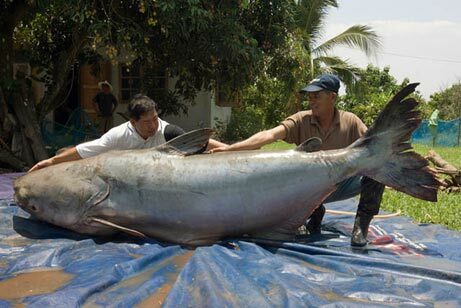 When you are fishing the clear waters in the morning, you will certainly catch an abundance of bigger catfish. The catfish are usually filling up their bellies right before the sun comes up, then they go searching for a dark place to sit and hide for the day. With the sun in the sky, these fish now have better vision, and your movements on the shore or in a boat could frighten them away.The catfish use their heightened sense of smell and taste to find food before the sun comes up, the perfect time to put your bait on the bottom and wait. The catfish should start going after your live bait an hour before dawn and last only an hour or two tops after that. Speak to any local charter boat fishing Louisiana captain about the best spots for catching catfish, they’ll get you to where you need to be. Now you know the techniques to help you find and land the biggest catfish hiding in those muddy waters just out of sight. Keep these tips in mind and you could be on pace to breaking the record for the biggest catfish caught in the waters near Louisiana. Where the Biggest Fish Are Hiding In Louisiana? The one thing that you can say about fishing in Louisiana is that there are plenty of watering holes for the fish to hide. Whether spending the day with the charter boat fishing Louisiana team or fishing alone in the numerous bayous and estuaries, there are literally hundreds of rivers, lakes, streams, plus the Mighty Mississippi to search for the biggest fish. There is a reason Louisiana is considered the best fishing location in all the United States, and today we are going to reveal where to go if you want your chance of catching your own record trophy fish. If you are looking for the biggest catfish, the ones you can barely pick up, then you want to be fishing near the mouth of the Mississippi River. There are catfish in every river, bayou, and estuary in Louisiana, but the monster catfish are hiding in the Mississippi. 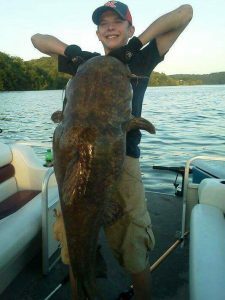 The record trophy catfish are lurking in the deeper water near the mouth of the Mississippi River, so big that you will need help hauling them into your boat. 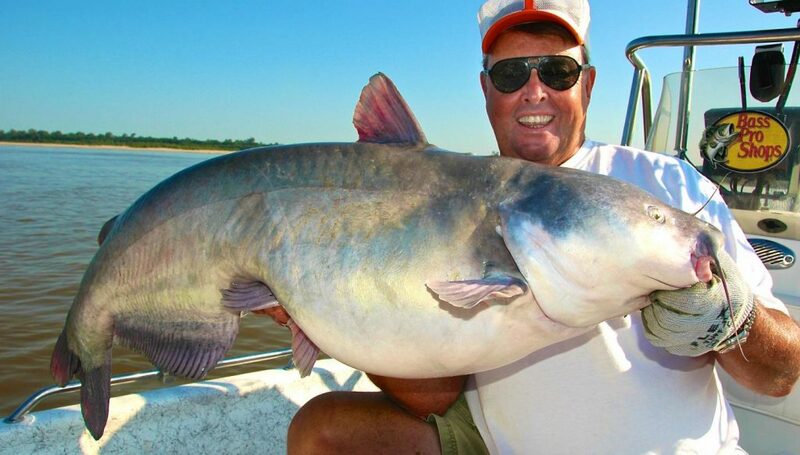 One of the advantages to heading out with the charter boat fishing Louisiana captain is that they can bring you to the big catfish, and you can also find channel, blue catfish, and flathead, all in the same location. Perhaps today is the day you break the Louisiana record of 110 pounds for a blue catfish, caught 13 years ago in these deeper waters. The reason anglers love tarpon fishing is because they can be enormous in size and put up a huge fight when they take the bait. Even the small tarpon are not going to go easily, they simply make every catch something the fishermen have to work for. Tarpon in the 200-pound range can be found everywhere in the Delta, but the hotbed for the big ones is around the shoreline near Venice. The huge tarpon love this area because they feel safe, and some can grow to gigantic sizes before getting hooked. If this sounds exciting to you, be sure you are using the right artificial baits designed for this specific occasion. This unique bait is something the tarpon love, and you are less likely to have a different species of fish trying to steal the bait while you’re waiting for the monster to show himself. The charter boat fishing Louisiana crew will tell you that even though bass dominate the basin, redfish are the preferred target of anglers in the Louisiana Delta. Not only are the redfish in this area in abundance, they are resilient and can grow very large in size too. Many fishermen prefer the southern coast for easy pickings, but the big redfish are hiding where the Mississippi flows into the Gulf of Mexico. The charter boat captains will tell you how the redfish congregate in record numbers near the marshes of this region. If you want to land your own record redfish, be sure to use spinner-baits or surface baits. Those who want to get in the record books for the largest spotted seatrout in Louisiana need to fish in the Calcasieu Lake located close to the Texas border. This is where many records have been set and broken, and where the giant trout seen to love to hide. This lake is not your average estuary, this is a twelve-mile stretch that is also nine miles wide, with depths averaging nearly six feet. If you want to creep up on your own record seatrout, best to get fishing in late spring, when migration is at its peak for this species. The more south you go in the lake, the bigger the fish seem to be, and they love jigs with soft plastics. Just remember, the more south you go, the harder it will be to find these elusive monsters. Louisiana is a haven for bass, with a few places in the region hiding monsters of record size. This entire article could have been devoted entirely to the hot spots for catching the big bass. Caney Lake may be small in size, but back in the early 1990’s you could catch a monster bass with very little effort in this body of water. Although many of the big fish have been caught, if you’re patient, you could easily reel in a fifteen pound bass and be quite satisfied. Even today, this lake is brimming with decent size bass for all level experience fishermen. All you need to know about Red River is that it was recently chosen to be the host for the Bassmaster Classic. Enough said, this river has been the spot for championship caliber tournaments for years, and the bass are still hiding here in record numbers. The Red River actually is a combination of five different pools, and bass can be found in every inch of all five pools. If you are here fishing around the time the bass are spawning, you may hook a double-digit monster all your own. Finally, if you are looking for the king when it comes to bass fishing locations in all of Louisiana, then you need to make your way to Toledo Bend. This gigantic reservoir is actually in excess of 180,000 acres of the largest quality of bass anywhere. The south waters have the monster bass, but hard to find. The north waters have bass that are average in size but in abundance. If you are looking at doing some offshore fishing for the big fish – Venice LA is the ultimate fishing spot. With mulitple fishing charters going out daily to catch tuna, mahi mahi and other large species of fish, its hard to NOT catch fish out of Venice.As you can see, you don’t need to spend all your time with charter boat fishing Louisiana captains to reel in a monster fish in this region. There are countless giant fish swimming all around Louisiana today waiting to jump on your hook if you know where to look.